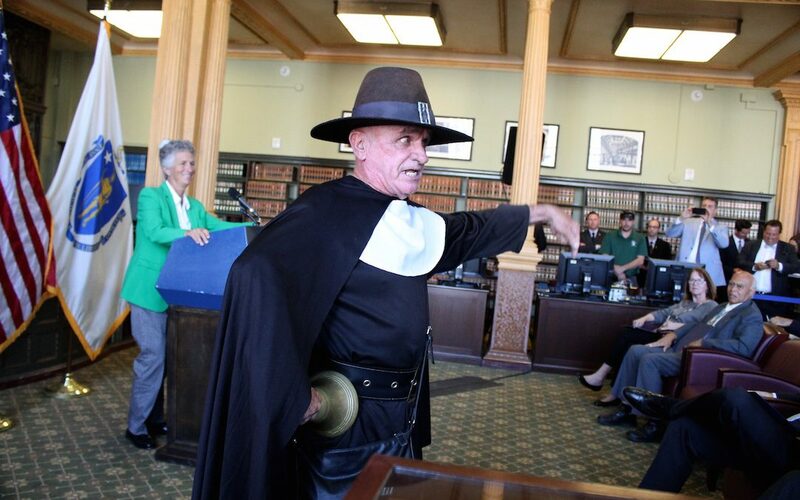 Katie Lannan, reporter for Statehouse News Service, attended the press conference and has this story that includes a photo of the Provincetown Town Crier, Ken Lonergan, by Sam Doran of the Statehouse News Service. Click here to see the full story! Mayflower II is Coming to Provincetown!